Whether you consider the HTC Desire HD to be the sequel to the original HTC Desire or another in the family, it's not a better phone. That's according to TechRadar's 20 best mobile phones in the world buyer's guide, which looks at every smartphone around and brings you the cream of the crop. Reviewers found that the while the original Desire had battery issues, the new Desire HD has got the same problem - but thanks to a 4.3-inch screen, the drain is even harder, so with the best combination of all-round excellence, the original has hung on to the top spot. In fact, the Desire HD only made it to number three in the list, with the power of the iPhone 4 good enough to see it sticking to the number two position. 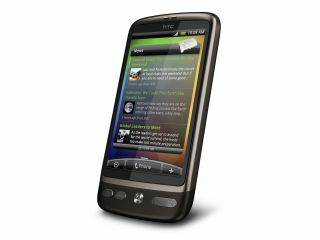 Three Windows Phone 7 handsets have made the top ten, with the LG Optimus 7 the highest ranked at number five, beating the HTC HD7 and Samsung Omnia 7 thanks to a better set out of applications out the box. The Orange San Francisco also came crashing into the top ten at number 8 - earning that spot thanks to a superb set of features for less than £100. Check out 20 best mobile phones in the world today to see the full run down - and let us know if you agree in the comments below.